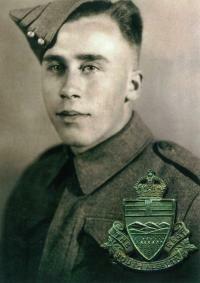 Moise Joseph Amyotte of Edmonton passed away at the age of 92 years. Moise will be remembered by his children, David, Denise (Bryon), Donald (Ann), Dwayne (Connie), Dale, Darrell, Daniel and Darcy; 20 grandchildren; 26 great-grandchildren; brothers and sisters; numerous family and friends. Moise was predeceased by his wife Therese in 2010; daughters-in-law Patty, Tammy and Maryann; great-granddaughter, Sierra, and his brothers, Maurice and Felix. A visitation will take place on Monday, February 18, 2013 from 2:00 - 4:00 p.m. at Foster and McGarvey Funeral Home, 10011 - 114 St., Edmonton. A Funeral Service will be held at the same location on Tuesday, February 19, 2013 at 11:00 a.m. In memory of Moise, donations may be made to the Memorial Society of Edmonton and District, 1108, 10235-124 Street NW, Edmonton, AB, T5N 1P9.